Stress can bring on a serious case of the munchies. 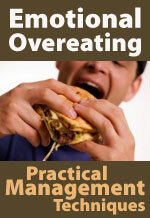 Overeating can often lead to anxiety, which leads to more overeating and weight gain. This insightful article defines emotional eating, and suggests some great ways to change the behavior. We’ve all been there. You get some bad news, a parking ticket or have a fight with a friend or family member, and what’s the first thing you want to do? If you’re like me, some days hit the snack aisle. Emotional eating is the consumption of food — usually “comfort” food or junk foods — in response to feelings in place of actual hunger. Feelings caused by emotions formulated to make us believe that food can bring us comfort. According to one study, there are various biological factors which link mood, food intake, and brain signaling that trigger the peripheral and central nervous systems as we eat. In more simplistic terms, when you take that first bite out of a piece of cake, your body releases dopamine, which stimulates the area of your brain that tells you that you feel pleasure. Where’s the harm in seeking comfort in food? All you want is to feel better, so if that piece of candy or cake makes you feel better, what’s the problem? The problem is that it likely doesn’t stop at one piece, and once you’ve finished swallowing that food your remorse can kicks in, and you feel more powerless than before. 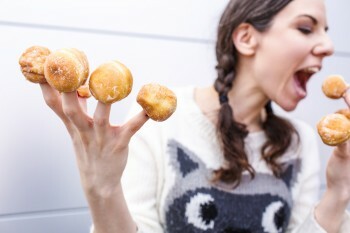 Do you suffer from emotional eating? You eat when you’re not hungry or “unconsciously”. You use food as your top source of pleasure. You have a toxic relationship with your body image. I think I am an emotional eater. What are some ways I can overcome my emotional eating? Unfortunately, there is no magic pill or solution to stop your emotional eating cycles. The only way to actively stop emotional eating is first to be aware of it, and second, find other ways to manage your reaction to triggering situations. Here here are a few of the ways you can manage your emotional eating. Find ways to reward yourself that have nothing to do with eating. Evaluate other things in your life that bring you pleasure and turn to those in times of need. 50% Off Today Only: $28! Ever been angry or upset one minute and then on your couch eating the next, unable to remember why you started eating or how long you had spent munching? If so, then you have entered the world of emotional eating. It’s something than can happen to anyone, and one of the most common dieting obstacles out there. Emotional eating at its best passes after a few minutes. At its worst, it can take over your life and cause you to eat uncontrollably for extended periods of time. And according to nutritional experts, 75% of overeating is caused by emotions. So don’t worry, if you suffer from emotional eating, you are not alone. People often eat to relieve stress or to get something off their minds. 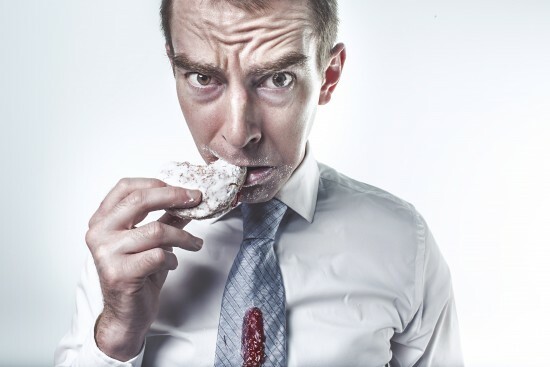 The kicker is that stress, and the insulin jump that goes with it, may actually cause you to crave high sugar, high carbohydrate foods – foods that go straight to your waistline and cause you even more stress. Do you eat when you’re anxious? Does food make you feel better? If so, you may have been conditioned to turn to food for comfort. April is Emotional Overeating Awareness Month. For many people, eating is something to do when you’re bored, tired, anxious or dealing with emotions. Often these behaviors can lead to overeating. But eating to cope with emotions can lead to more negative feelings (guilt, lack of personal control and poor self esteem) and perhaps to a cycle of mood-triggered eating. Among the factors contributing to our struggle to stop tipping the scales is the component of “emotional eating” – or the use of food to attempt to fill emotional needs. This 4-credit-hour online continuing education course presents information about the causes of emotional eating and provides suggestions for activities based in Cognitive-Behavioral Therapy that can help to raise awareness and assist in changing the addictive pattern. Statistics confirm that Americans are an increasingly overweight population. 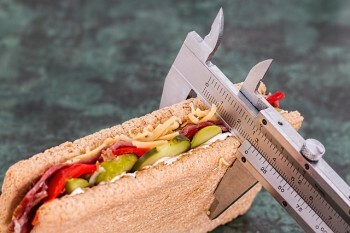 According to an Associated Press article published in the Los Angeles Daily News, on September 23, 2010, “the ranks of the overweight have swelled to nearly 70 percent in the US this year . . .” And, “in ten years, a full 75 percent of Americans will be overweight” – statistics which correlate with a study led by a Johns Hopkins University researcher published in the journal, Obesity (Wang et al, 2008), which projected that “about 86 percent of US adults would be overweight or obese by 2030 if current trends continue.” http://www.dailynews.com/ci_16157886?source=most_emailed (retrieved January 4, 2011). Among the factors contributing to our struggle to stop tipping the scales is the component of “emotional eating” – or the use of food to attempt to fill emotional needs. Professionals in both the physical and emotional health fields encounter patients with emotional eating problems on a regular basis. Even clients who do not carry this as their presenting problem often have it on their list of unhealthy behaviors that contribute to or are intertwined with their priority concerns. While not an easy task, it is possible to learn methods for dismantling emotional eating habits. 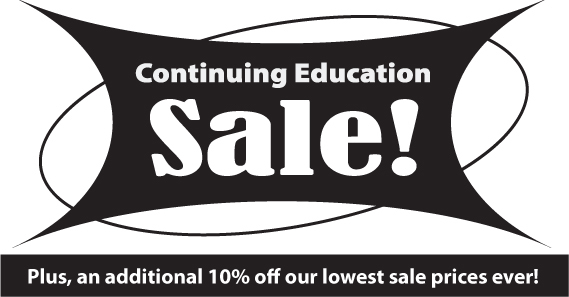 CE Sale + Additional 10% Off! Click on image to check out these amazing deals! Enter coupon code PDR0400B at checkout for an additional 10% off! Hurry, sale ends June 30, 2011! 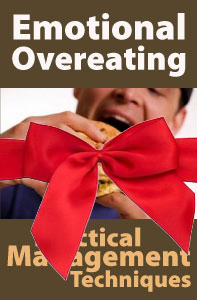 With the current flux of diet resolutions and obesity issues, we are pleased to introduce our newest online CE course, Emotional Overeating: Practical Management Techniques. Statistics report that Americans are an increasingly overweight population. Among the factors contributing to our struggle to stop tipping the scales is the component of “emotional eating” – or the use of food to attempt to fill emotional needs. Professionals in both the physical and emotional health fields encounter patients with emotional eating problems on a regular basis. Even clients who do not bring this as their presenting problem often have it on their list of unhealthy behaviors that contribute to or are intertwined with their priority concerns. Learn More & Order Now!